"Private sector enterprises, which stand to gain due to potential synergies with the government, are also gearing up and early adopters and first to market with this technology will have definite first mover advantages," Dan Frankel, Blockchain City Adviser to the Emirate of Dubai, ConsenSys, told Chief Information Officers (CIOs) at the recently held CIOMajlis session on 'Blockchain Technology'. 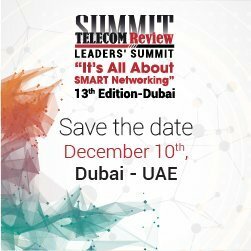 CIOMajlis is an initiative by Smartworld, an Etisalat and Dubai South joint venture company, focused on bringing Chief Information Officers (CIOs) from public and private sector companies in the UAE on a common platform to share international best practices and explore business solutions in line with the UAE's Innovation Strategy and the government's goal to make it the world's most innovative country by 2021. Ahmad Al Mulla, Chairman of CIOMajlis, said: "Dubai is a frontrunner in adopting the latest technology and has set a goal to become the world's first government to execute all implementable transactions on the blockchain by 2020. The government initiatives in this direction present tremendous business opportunities for the private sector in the UAE. "There is a current global shortage of object oriented programmers and developers," he added. "We need to ensure sufficient availability of trained manpower and as these opportunities are accruing across all sectors, we will see a lot of blockchain implementation in near future across government as well as private sectors." Worldwide, the market size for Blockchain is projected to grow from $210 million in 2016 to over $2.3 billion by 2021. 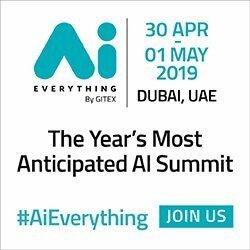 His Highness Sheikh Hamdan Bin Mohammad Bin Rashid Al Maktoum, Crown Prince of Dubai and Chairman of Dubai Executive Council, launched the Dubai Blockchain Strategy, which is focused on exploring and evaluating the latest technology innovations that demonstrate an opportunity to deliver more seamless, safe, efficient, and impactful city experiences. Adoption of Blockchain is estimated to result in over AED 5.5 billion savings annually towards streamlining document processing alone. ConsenSys has been named as the official Blockchain Advisor for the City of Dubai and will be working in collaboration with government officials along with IBM, the project's Lead Strategic Partner. Explaining the potential benefits that embracing Blockchain can bring, Frankel said blockchain technologies could reduce banks transaction costs by $15-20 billion a year by 2022, and as it removes costs of intermediaries, manual processing, re-work and processing errors, it could generate a potential savings of as high as 75 percent. He said blockchain technology will transform every major market in the world by significantly reducing infrastructure costs, fraud and fee, thus driving the growth of global market share at an unprecedented rate. The first industries that will be transformed by blockchain will include financial services and real estate, technology, media and telecommunications, energy and resources, consumer and industrial products. "Early adopters and first to market with this technology will have a strategic advantage," he added. Frankel said that to facilitate availability of trained manpower in Blockchain technology, ConsenSys will launch, 'ConsenSys Academy', a highly selective and immersive online blockchain training program that prepares developers to enter this rapidly growing technology field. The graduates will be flown after graduation to Dubai to receive their certificates and offered jobs in the Dubai Blockchain initiative.